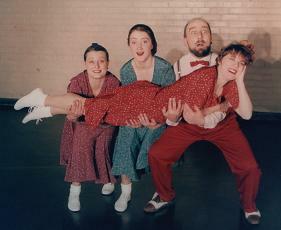 Green Candle’s continued commitment to working with older people saw the creation of a new project for older audiences in Spring 1997, entitled Dances for Small Spaces. Designed specifically for residential homes and day centres, the performance of a series of dances was followed by a participatory workshop for group members. Highly popular with older people’s groups of all ages and abilities around the country, the project linked in with the launch of the company’s new publication entitled Growing Bolder: a start-up guide for creating dance with older people.